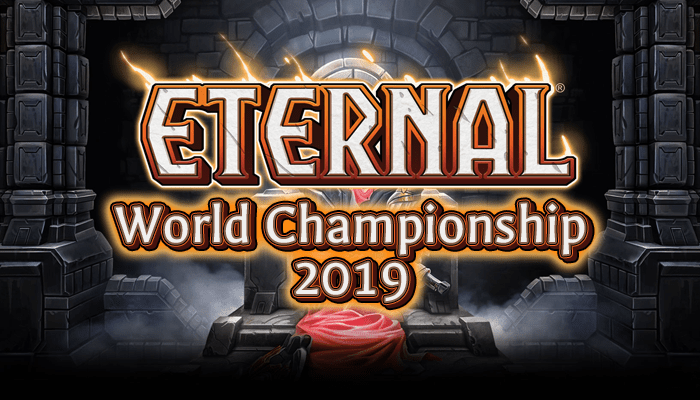 Season Three of the Eternal Tournament Series draws to a close, and it all comes down to the final tournament: the Season Three Invitational. Aside from its own large prize pool ($250) and prestige, this tournament is also the final way for players to boost their Series Points prior to the Midseason Major. There’s a ton on the line this weekend and you won’t want to miss any of the action! The tournament is streamed live on RNGEternal’s Twitch channel over the course of two days. Day One action starts at 12pm EDT on Saturday, April 1st, and continues until only 8 players remain (after Winner’s Bracket round 3 and Loser’s Bracket round 4). Day Two picks up where Day One left off – except instead of covering rounds, we’re going to be covering every single match! Day Two begins at 12pm EDT on Sunday, April 2nd. If you can’t watch the tournament live, there will be round by round updates on RNGEternal’s Twitter. The whole tournament will be uploaded to Youtube by Tuesday, April 4th. The following four players are tied for the final three seeds and will play a tiebreak series on Friday, March 31st to determine who will be playing in the Season 3 Invitational. AngryChicken – When you get the highest Season Three IP total in just four tournaments, you’ve impressed me. AngryChicken is on an absolute tear and I expect it to continue. Francois – Francois is a proven winner and a strong player with great weekly results. I anticipate him making a good deck choice and pushing through to day two. komodo – After a mild Season Two, komodo has really come into his own in Season Three. Another proven winner with a strong track record. Marius – No wins, but two top fours and solid swiss performances. Another rookie, but I’ve liked his decks and I’ve got a good feeling about him. Shedd – With his name once again on the line, Shedd has no choice but to perform. Hopefully his inclusion doesn’t throw him off his game – he’s a very strong player when he’s on the ball. Sir Rhino – Self-proclaimed draft specialist, yet he came third at the last Invitational. You can’t fool me this time Rhino – I’m betting on proven results. Toth201 – He’s won one and come top 6 at another Invitational. Toth201 may not win many weeklies, but he sure shows up at Invitationals. tvkelly – I played against this guy in my first week of Eternal. He’s been around for a long time, and he’s also really good. Experience counts! AngryChicken – No one has been hotter than Angry Chicken over the past month, and I don’t expect that to stop here. He plays the best deck (Big Combrei) and plays it well, so I don’t see anyone stopping his march to top 8. IlyaK – Everyone knows IlyaK. He has several extremely high ladder finishes and performs well in tournaments week in and week out; I don’t think anyone would be surprised to see him pick up several wins at the Invitational. Juaspas – Juaspas is a relative newcomer to the tournament scene, but he has already impressed with his innovative decks and strong play. He’s a bit of a dark horse for the Invitational, but I’ll be rooting for him to make a deep run. Rewind – Maybe I’m biased because Rewind defeated me (twice!) in the LCQ last weekend, but Rewind is looking like he has returned to form. His take on Felnscar Midrange is very well positioned against a field of control and Time-based midrange, so he is in a prime position to clean up if the meta stays greedy. SirRhino – SirRhino has been playing some wacky stuff in recent ETS weeklies, but he’s going to be in top form for the Invitational. No one else plays Feln like SirRhino, with his incredible sideboards and amazing patience. He’s gone deep in Invitationals before, and I expect a repeat performance this weekend. TheSkeeJay – I’m really high on Big Combrei right now, and TheSkeeJay is another highly-ranked Big Combrei specialist who has been crushing with the deck lately. As long as he sticks to his guns, I predict a top 8. Toth201 – Toth201 has performed well at every previous Invitational, so there’s no reason to think he’s going to stop now. He has a wide range and generally has a good read on the metagame, so look for Toth201 on camera on Sunday. Unearthly – Rakano has fallen out of favor, but Unearthly always finds a way. He’s a known quantity heading into the tournament, but when no one else is likely to play Rakano it’s hard to prepare for just him. With the meta getting greedier and greedier, Deepforged Plate is poised to punish some control players. AngryChicken – What more do I need to say? He’s been running hotter than the sun in the last 4 weeklies of the season and he has the highest winrate of any of our players with a significant # of series played. He’s the player to beat in this Invitational. HiThar – Out of the players that primarily play Big Combrei (besides Angrychicken), I find HiThar’s record to be the strongest. He wasn’t part of the Season 2 Invitational, but his first Eternal event was the EoWC and he took third. He has experience with deep tournament runs. LoveUP – On the flip-side, a player that has played a different deck in every ETS event he’s entered and still posted fairly strong results. While I do think it’s a bit more important to be extremely proficient in a single deck, there is merit to flexibility, especially when you can post decent results while being flexible. Marius – I might be a bit biased, as I love Icaria Blue, but I’ve been impressed by Marius’ performance this season. While he’s only had two top 8s, he’s had solid Swiss performances all season, sporting one of the higher winrates of our players. I also like Icaria Blue’s place in this meta, and it’s Marius’s comfort deck. Peaceful – He’s another player that came in late in the season and has posted very solid results in the last few weeklies, though he never converted strong Swiss results into a deep Top 8 run. This is certainly a bit of a disadvantage compared to some of our other players, but I think he can convert those skills into a deep run. We’ll find out how much momentum and a proven record in the post 1.18 meta matters. Sir Rhino – If I was a bit biased before, I’m very biased here. But I also think that Invitationals are where Rhino is most poised to clean up – Feln Control is, IMO, the best sideboarding deck in the format. If Rhino can peg the Invitational’s meta correctly, he can make a deep run. Toth201 – Is it silly to call 2, going on 3 occurrences a pattern? Toth shows up late in a season, cleans up a few events, then makes a deep run in the Invitational. He did it in S1, beating me in the last weekly then winning the Invitational. He did it in S2. And now he’s poised to do it again in S3. Unearthly – I was hedging on Unearthly before I heard about the Mulligan rules change. This isn’t the best meta for Rakano (but neither was the S2I)… but Unearthly has a knack for figuring out how to exactly sculpt his deck and sideboard to beat hostile metas, and he’s honed the Rakano power base to an incredibly consistent level. If anyone can adapt to the mulligan change and tune their deck to it quickly, I think it’ll be Unearthly. Now it’s your turn! Vote for the 8 players that you think will make Day Two. Unfortunately I’m limited to 30 choices, so the four tied players have been combined into a single option. We’ll have another fan vote on Day Two to pick the winner.